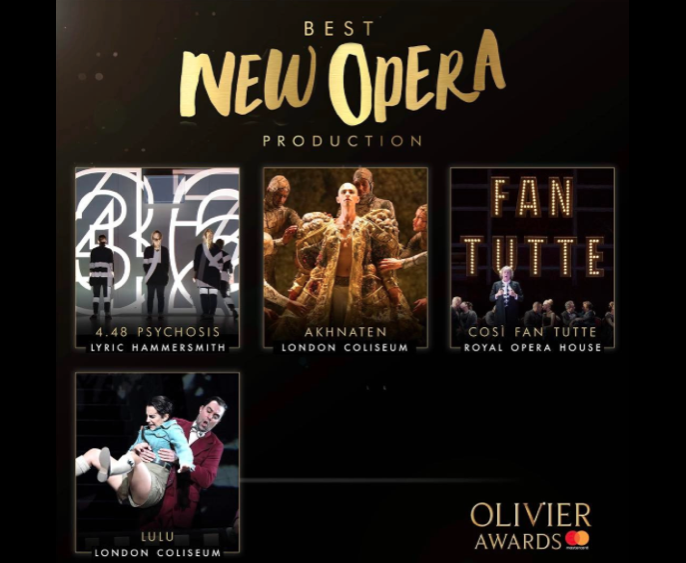 The English National Opera’s production of Lulu where Sarah sang the role of 15-Year-Old Girl has been nominated for an Olivier Award in the ‘Best New Opera Production’ category. Conductor Mark Wigglesworth was also nominated in the ‘Outstanding Achievement in Opera’ category for his work conducting ENO Lulu and Don Giovanni. The production was directed by William Kentridge, whose exhibition at the Whitechapel Gallery ran alongside the production and contained elements relating to the opera. After ENO Lulu closed, Sarah performed at the gallery in a project with English National Opera Baylis which linked Kentridge’s exhibition with new performance and visual artwork by young artists at Duchamp & Sons along with music from Berg’s Lulu. The Olivier Awards take place at the Royal Albert Hall and will be broadcast on Sunday 9th April on ITV.